This has been one of the most empowering and enlightening insights in my healing journey. When I was married, I felt continuous pressure to deny and hide true feelings and true thoughts. When I was bold enough to speak my truth, I was often told I was wrong and then corrected about what I really thought and felt. I remember once near the end of the marriage asking him, “how can you possibly know better than me what thoughts or feelings are inside me?” Without missing a beat he answered confidently, “because I know you better than you know yourself”. The arrogance! I cringe now when I think about how I slowly allowed that to be my reality….to be manipulated into believing he knew better than I did about everything, including myself! Life is so different for me now…and so much better! 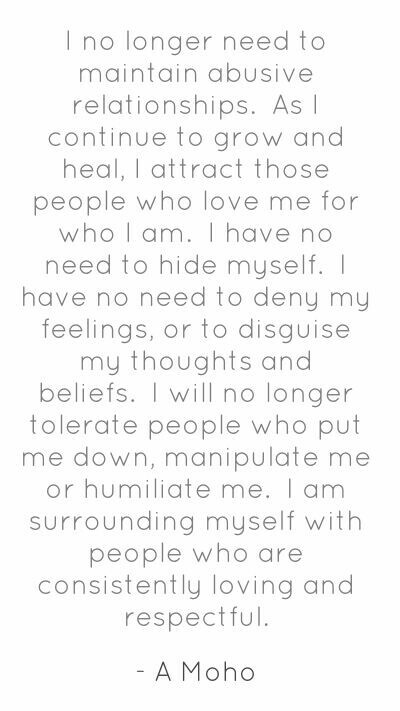 I have chosen to eliminate or set boundaries with manipulative or abusive people. I choose to have those closest to me be people who love me for who I am and who value my thoughts and feelings, even if we differ in our perspectives. It is so freeing and feels so good to honor myself in that way! I am still on my healing journey, but I am well on my way! To defend or let go…. My ex-husband’s grandmother passed away. I chose not to attend the funeral, and my sons made the same choice. My daughter attended and said it was nice. Apparently, my ex-husband gave the eulogy. This was the main reason my sons chose not to attend. They said they would find it difficult to stomach listening to him. I am at peace with my decision, and my boys seem to be as well. I have encouraged them to do what they feel is right. I told them we will honor her in our own way. Right now, I am sorting through something in regard to my former mother in law. It has come to my attention that she apparently understands the three of us not attending the funeral, but is hurt that we did not express our condolences to her on her loss. 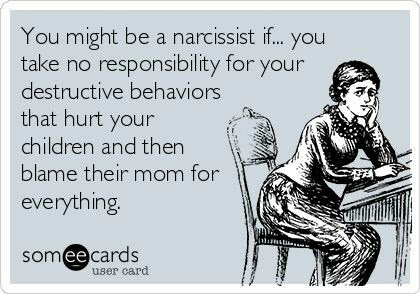 To put this into context, my ex-husband has apparently denied his behaviors that led to our divorce and has painted a picture of being an innocent victim to his mother. For the last six years, I have let that slide. I came to the realization years ago that it doesn’t matter. I know the truth, and people who know me well know the truth. However, this recent information has brought it forward again for me. It has been the healthiest choice for me to distance myself from my ex and his family as much as possible. For me, even expressing condolences pulls me back on to a circle of dysfunction I fought hard to free myself from. Yet, I found those old messages coming back to haunt me. ..that I’m always in the wrong, always screwing up, can’t do anything right. My former mother in law criticized me on many levels frequently over 20 years. I can’t genuinely say I’m particularly sorry for her loss. It isn’t only her loss. It’s my kids’ loss. It’s my loss. It’s the world’s loss. I’m genuinely sorry for all of those losses. But hers? Not so much. Does that make me cold? I don’t know. But, what I do know is that feels authentic. And it makes me feel strong where I once felt weak.